This beautiful hand made needlepoint Moose Pillow is made from 100% wool with a cotton velvet zippered back. 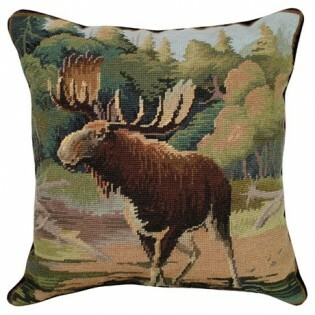 This larger than life moose is staring intently while surround by beautiful nature. Very realistic and exquisite detail!
. Very realistic and exquisite detail!